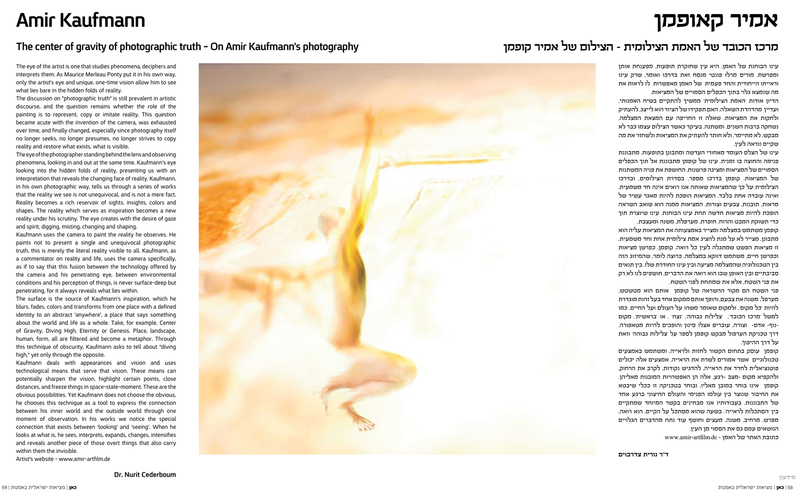 Article published in the 'CAN' Israeli art reality magazine - related to my photography. The article was written by Dr. Nurit Cederboum � an Artist & multydisceplinary reasercher. LINK to online published article. The Film is available to purchase via direct online downloading in the publisher site - see THIS LINK for info and the online purchase. The Book is separately avaialble to purchase - see LINK to the publisher's site. 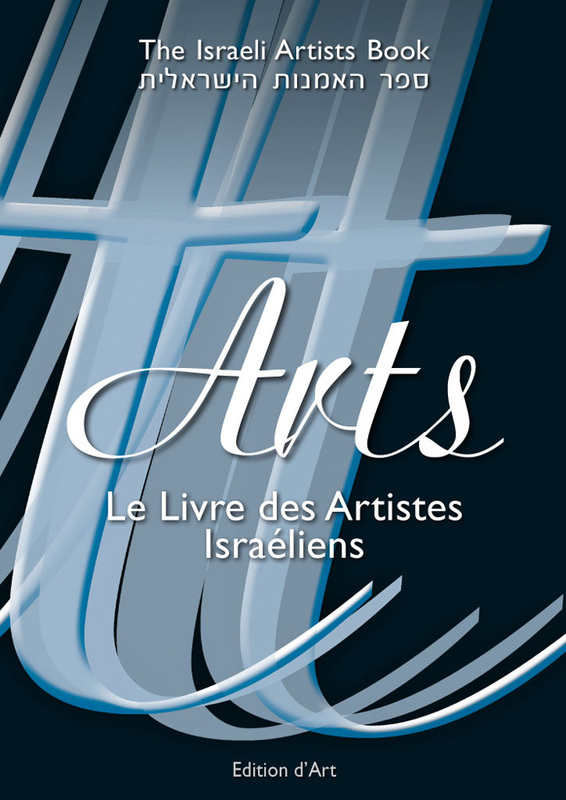 New Poetry book publication (in dual Englsih & Hebrew versions) is expected to be released around mid 2019. Publication contract was signed in May 2018. (LINK to IL Publisher). The book would contain ~20 ArtWorks from a new series. Participating with 5 ArtWorks in an Exhibition in the 'Palastgalery' Gallery in Berlin (LINK), during March-April 2018. 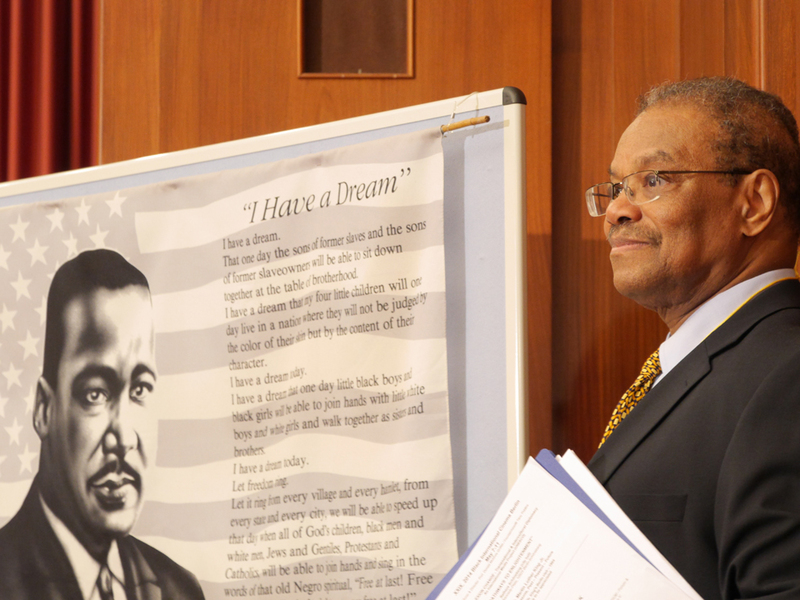 Along with the ArtWorks, two new poems (LINK) were read during the opening event, in March 10. Planned Release date: June 2018. Film will be available as an eFilm. Book - as an eBook and also as a soft cover book. Book title: 'The Gurdjieff Movements - Living Communication of Ancient Wisdom'. 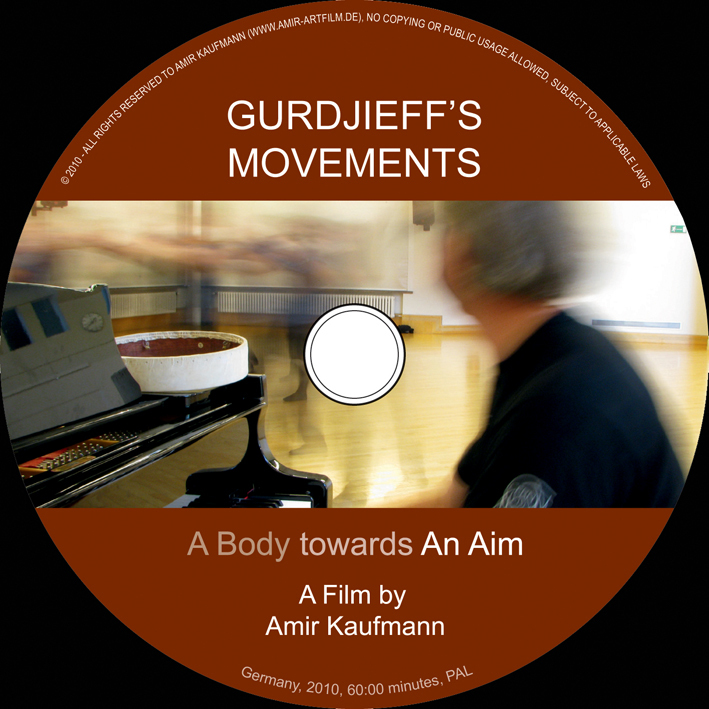 Film title: 'Gurdjieff Movements, a body towards an aim - Living Communication of Ancient Wisdom'. Distribution would be directly from the 'Hohm Press' site, and through its network that may include Amazon Digital/Kindle, Barnes and Noble.com, Baker and Taylor, Canadian distributors, Independent US distributor, APPLE iTunes, Ingram, etc. Details would be updated whenever changes arise. 'Vulnerabilities' - ArtWorks Project was initiated in 2015 and completed in 2017. The project presents 4 ArtWorks series,that include 37 ArtWorks together (14 , 11 , 11 & 1). Each series could be set as a stand alone series, and all four set a series of its own. 'Old Alleys of Jaffa' Exhibition 2016 - presentation of 4 Artworks starting from August as part of the permanent exhibition held within old Jaffa's alleys. Images will be updated by mid August. These days are still affected by the death of my dear late father a few months back. Most of my creative activities were, and still are, significantly affected. Hopefully, especially in the coming winter, I expect an ascending and gradual change and more visuals to be updated here. Participating with 4 ArtWorks in the 'Earth' Exhibition that take place in the 'Moshe Castel' Museum of art in Jerusalem (LINK), from September 29th until February 2nd 2016. Along with the ArtWorks, two new poems were written and are presented in the exhibition. For more updates follow this page and the attached link (click the image). Photography project that is runing since 2014 and is planned to continue and develop. 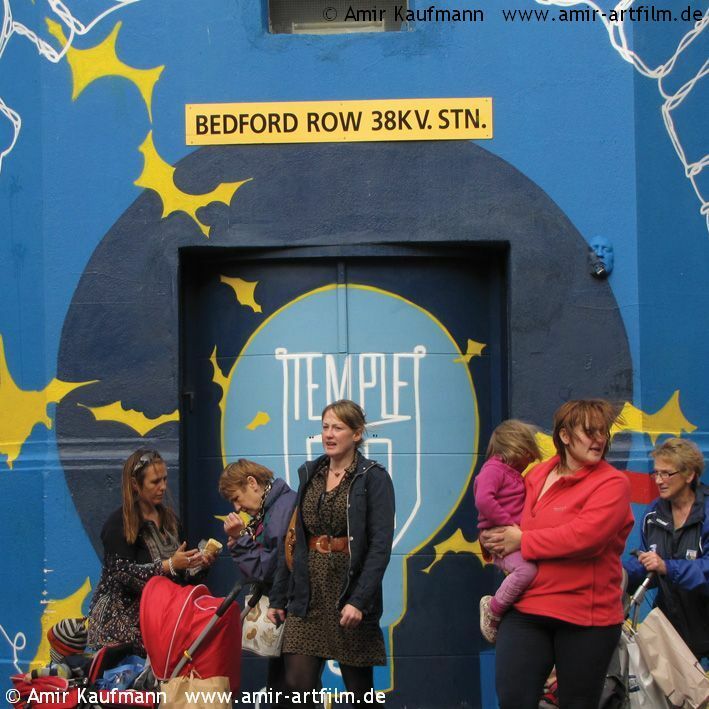 Initial AtWorks are presented within the 'JEWISH' Artworks Gallery (LINK). Opening event: Tuesday, September 29th, 19:30 PM. The two poems written towards the opening of the exhibition are presented here. 'Gurdjieff's Movements' BOOK/DVD first edition update: New Book & Film Review by Paul Beekman Taylor, one of the very few last living pupils of Gurdjieff and now the most prominent scholar in this field He is the author of six books on Gurdjieff, including G. I. Gurdjieff: A New Life (Utrecht, 2008). See The Review HERE. The 'Footprints in the Sand?' Exhibition 2015 was cancelled in Berlin for this year (was planned for this coming July-August). This was due to a late update caused by the extensive renovations the exhibition location is having, in the city hall of Schoeneberg in Berlin, Germany. Hence, the next exhibition would be postphoned to summer 2016. 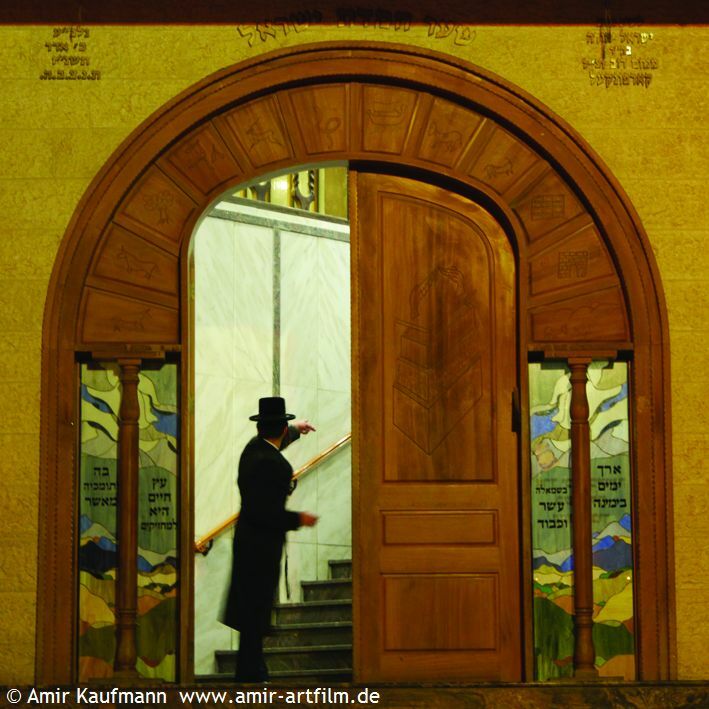 Photograph published in the Berliner newspaper 'Berliner Abendblat' in October 2014. The photograph was taken during the opening ceremony of the May film festival in the Schoeneberg citihall, Berlin, Germany. See LINK for the article. 'Creation' Exhibition 2014 - presentation of 21 Artworks as part of the 'Footprints in the Sand?' Exhibition 2014 - from July 1st until the end of August in the city hall of Schoeneberg in Berlin, Germany. The film is available to on-line screening in the festival - click HERE to view. This is an online internet film festival, allowing films viewing during a 6 months period. The festival duration - June 2014 until December 2014. 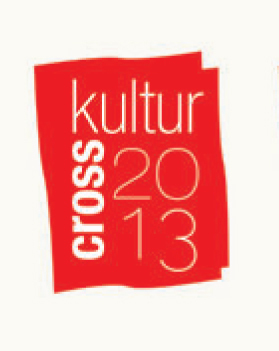 More details and film online link will follow close to the festival opening in late June 2014. The film screened in May 11th 2014 in the city hall of Schoeneberg in Berlin, Germany. The 3 short films 'Moments of Awakenings' sequence screened in May 9th 2014 in the city hall of Schoeneberg in Berlin, Germany. 'Moments of Awakenings' (23 min, Germany 2008). 'Present Past Tomorrow' (22 min, Germany 2011). 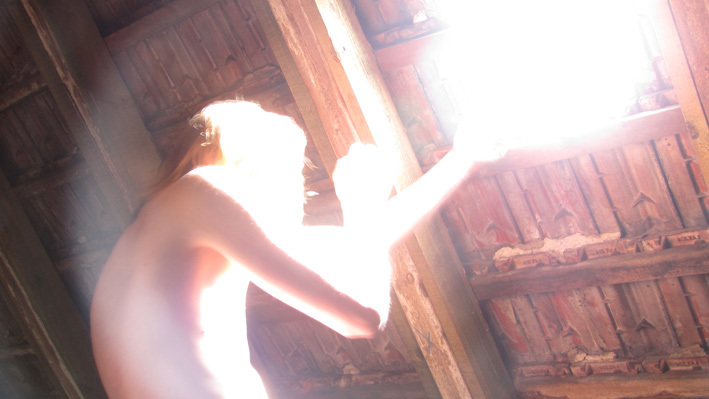 'Cycle of awakening' (25 min, Germany 2012). 'The Twister' Exhibition 2014 - presentation of 23 Artworks from January 28th until March 2nd in the gallery of Bikurey Ha'Itim's multi-disciplinary art and dance center (LINK), in Tel-Aviv, Israel. The opening event was held on Tuesday 28/1/14 at 8:00-10:00 p.m. with speakers: Curator Eti Fabian, Sculptor Prof. Harry Baron, and Artist Amir Kaufman reading poetry and talking about the creative path leading to this current exhibition, with ArtWorks presenting the link between body and spirit in motion. Also presenting is an ongoing screening of a 20 minutes video - a selection of the artist's photographic art works, that was screened last month at the CrossKultur festival in Berlin. Live Saxophone classics selection music was played. The film was selected to be screened in the festival. The festival schedule - December 2013 until June 2014. 'The Future is Now' - A performing evening. 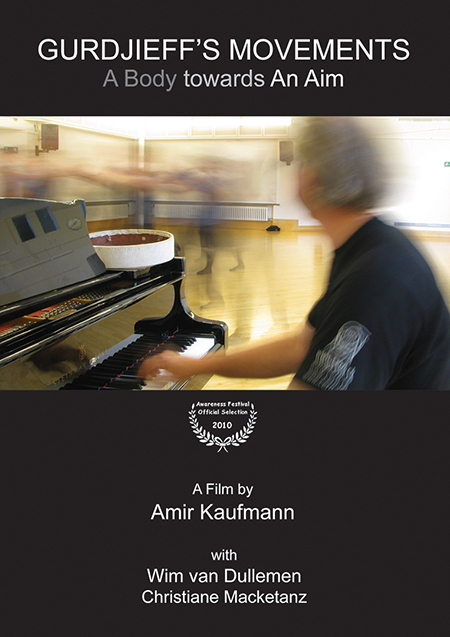 A theatre journey in Hebrew, German, English and Arabic, based upon the artistry of Amir Kaufmann and presented through spoken word, film, photography and music. A production presented as part of CrossKultur 2013, Berlin Cultural Festival, district Tempelhof-Schoeneberg, Berlin/Germany, November 16 � December 20, 2013. Produced by 'Fountainhead® Tanz Theatre'. Friday, December 6th 2013, 7.00pm. Rathaus Schoeneberg (city hall), cinema. TV Interview & Readings was recorded in November 17th for broadcast in a few TV channels, including ALEX TV channel (Offener Kanal Berlin). Internet online live streaming available HERE (www.alex-berlin.de). The Program name: 'The Collegium' which lasts 60 min. Produced by 'Fountainhead® Tanz Theatre', Berlin, Germany. 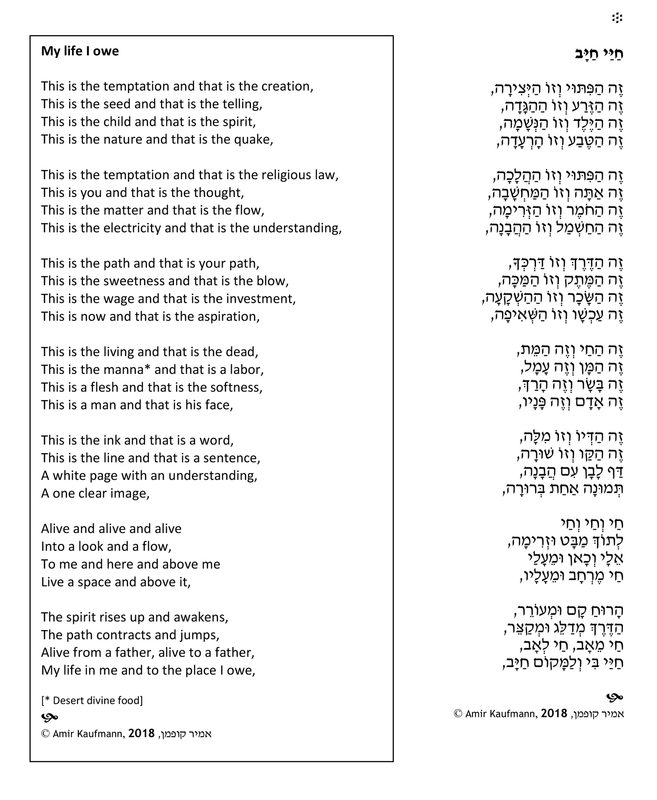 The readings (2 Hebrew poems and an English personal text) lasts ~7 minutes. Click on the image to see the Video of the Interview & Readings (app. 29 min.) . 1. Saturday, 04/01/14 - 09:00 a.m.
2. Monday, 06/01/14 - 01:00 a.m.
3. Thursday, 09/01/14 - 09:00 a.m.
A poem read in Humboldt University in 21/11/13 - in its Hebrew and Englsih versions. Click the image to link both texts. The film was selected to be screened in the festival that would take place online, for a period of 6 months from December 2013 until June 2014. More details and film online link will follow near to the festival opening in December. A collaboration with the '10th Konya Mystic Music Festival' in Konya/Turkey - resulting a new art video release, featuring the 'Gurdjieff's Movements' performance by the 'Gurdjieff Foundation' group during the festival (in September 24th). 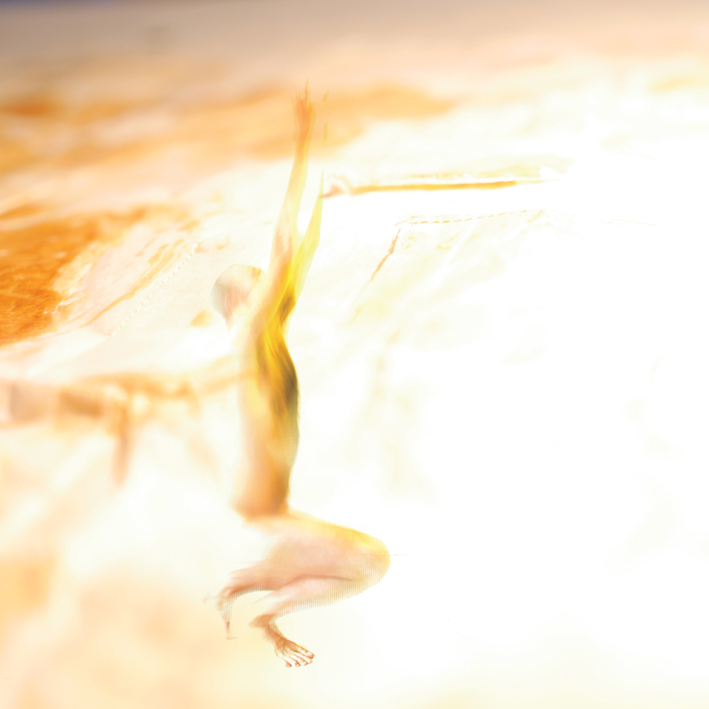 The 3 minutes video is based on the 'Gurdjieff's Movements' photography project (LINK) and ArtWork (LINK). 'Footprints in the Sand?' Exhibition 2013 - presentation of 10 Artworks from July 1st until the end of August in the city hall of Schoeneberg in Berlin, Germany. 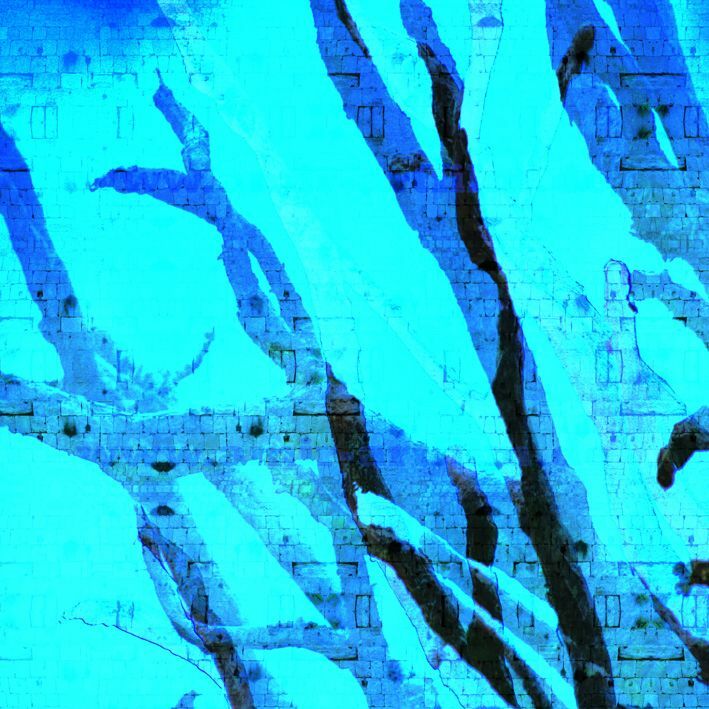 'Old Alleys of Jaffa' Exhibition 2013 - presentation of 3 Artworks starting from June as part of the permanent exhibition held within old Jaffa's alleys. 'Jaffa Theatre' Exhibition 2013 - Participation in an Art Exhibition in Jaffa, Israel. 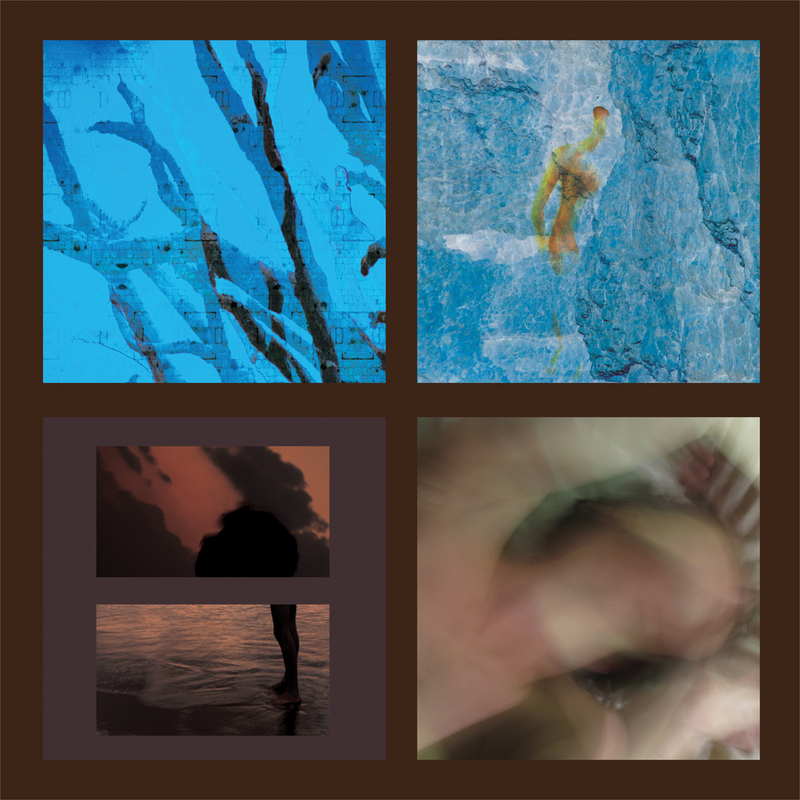 Presentation of 4 Artworks during the 3 weeks event. 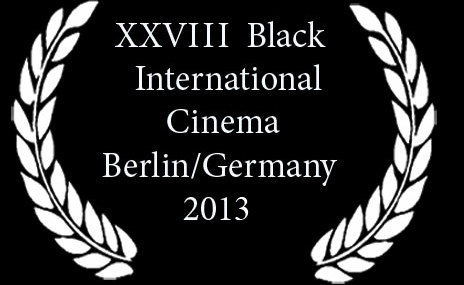 The film will screen again in May 2014 in the city hall of Schoeneberg in Berlin, Germany. 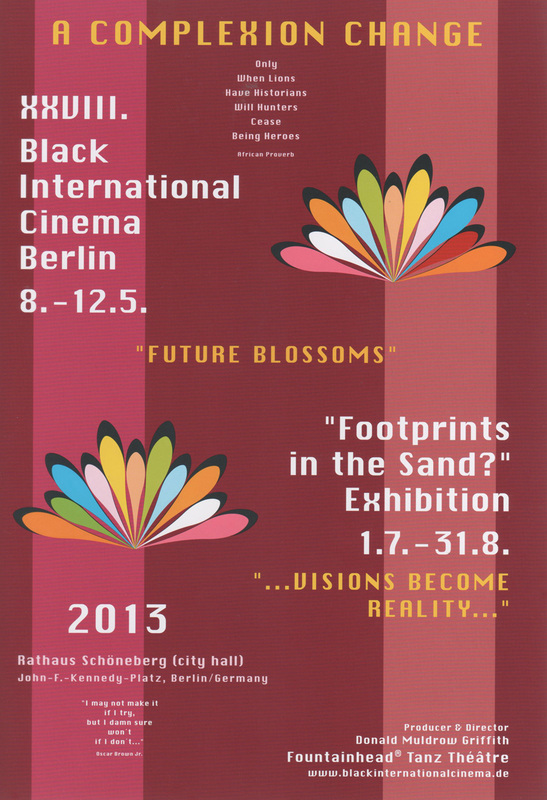 The 3 short films 'Moments of Awakenings' sequence will screen again in May 2014 in the city hall of Schoeneberg in Berlin, Germany. 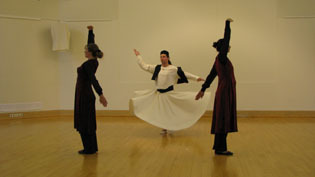 An article was published in the festival's brochure (/program). Published by 'Fountainhead® Tanz Theatre', Berlin, Germany. The 3 short films 'Moments of Awakenings' sequence screened in May 10th in the city hall of Schoeneberg in Berlin, Germany. 20 new ArtWorks were completed. Participation in an Art Exhibition in 'Amiad Centre', in Jaffa, Israel. 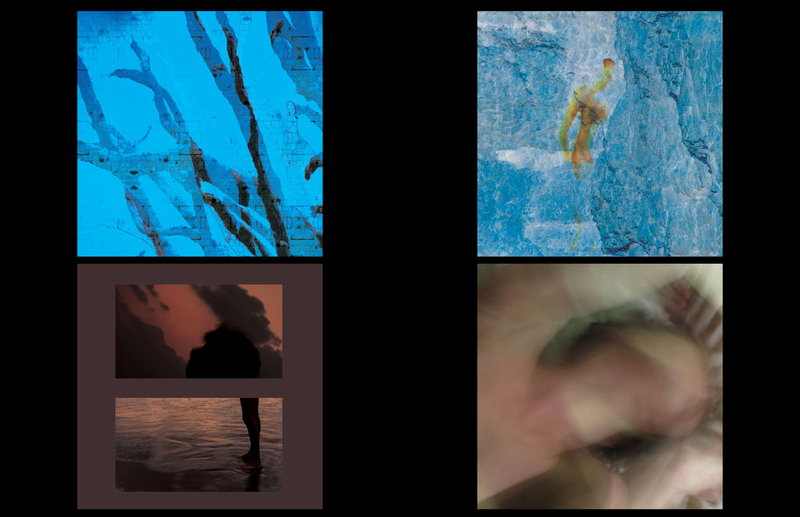 Four ArtWorks were presented during the 3 weeks event. The three films will be screened together as a unity, screening length of ~75 minutes. Photography collaboration with 'Theaterkapelle' (the theatre place), 'Taktstelle' (the project), and 'TablaTiger' (the public label) - with philipp selalmazidis. 'Taktstelle' presents international dancers in dialogue with live music of the Berlin scene. 24. 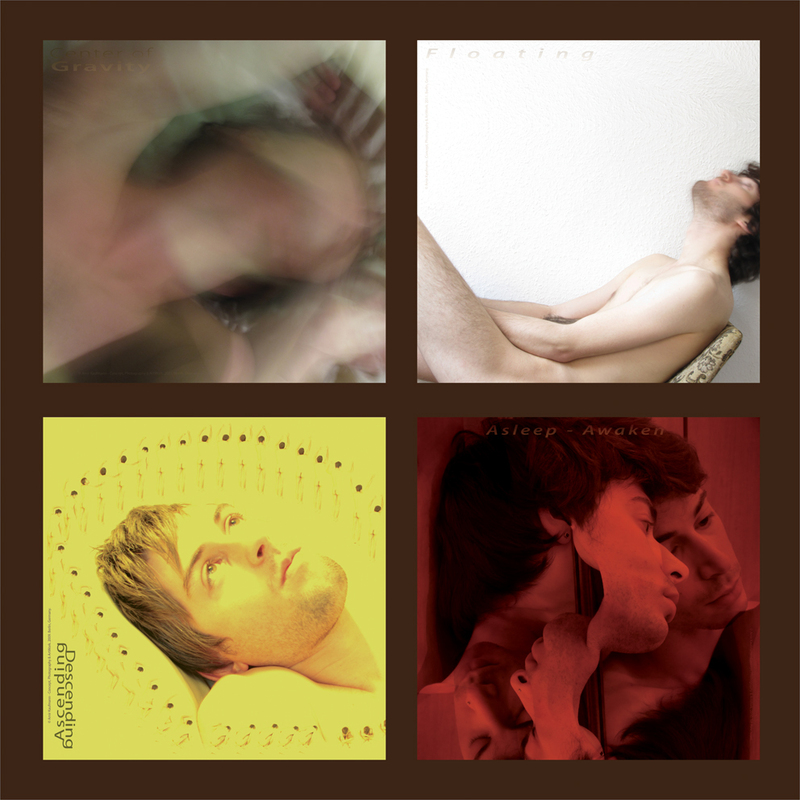 November Velvet Condom (Musik) & Annapaola Leso (Dance) Harakiri (live set) and Federico Castriota (Dj set). Participation in an Art Book release project. (link). The film won 2012 Award of Merit for the 'Creativity/Originality' category. 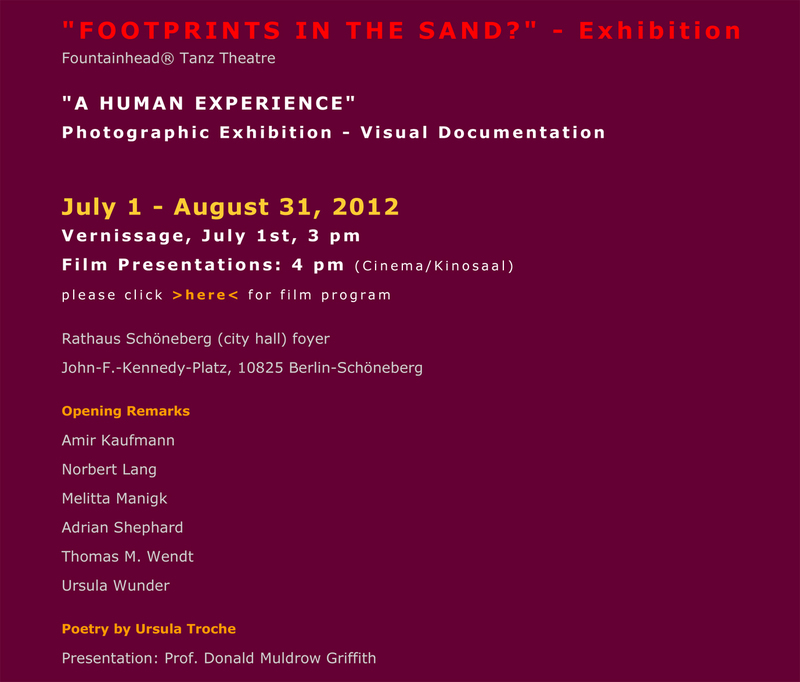 'Footprints in the Sand' Photography Exhibition 2012 - the film Screened in the opening evening of the exhibition in July 1st in the city hall of Schoeneberg in Berlin, Germany. Produced by 'Fountainhead® Tanz Th��tre'. The film was awarded for 'Best Film in the Fine Arts Disciplines'. TV Interview was recorded in June 17th for broadcast in a few TV channels, including ALEX TV channel (Offener Kanal Berlin). Internet online live streaming available HERE. The interview lasts ~20 minutes and features various films' and ArtWorks' images. The film is planned to be screened in the next festival that would take place in Tipperary, Ireland in September 2014. 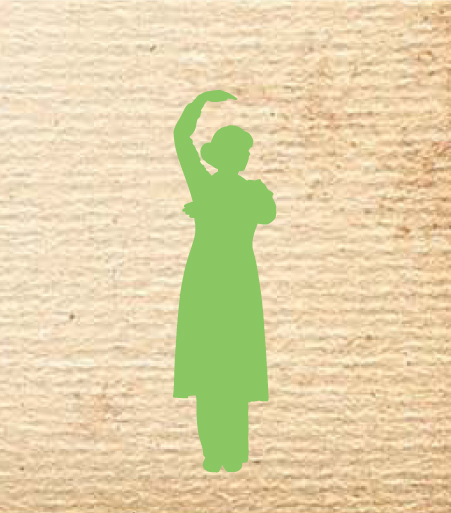 Gurdjieff's Movements in May 3rd. Present Past Tomorrow in May 5th. Both films were selected to be screened in the coming festival. The film won 2011 Award of Merit for the 'Creativity/Originality' category. Photography project that was held in Ireland during September 2011 is completed, presenting the new 'Irish Dream' Artworks Gallery (link). All three films were registered to the IMDb, the Internet Movie Database. (See links in each film's news page). The film won 2011 Most Inspirational Film new award category in the festival. The film screened in the Heart of England film festival in England. The film was nominated to an award in the coming festival. The film screened in the Swansea Bay film festival in Wales. The film won 2011 Awareness Merit Award. The film won 2011 Award of Merit for the 'Short Film' category. Swansea Bay Film Festival - Wales, 5/2011. Mind, Body & Spirit Int. Film Festival - Wales, 8/2011. Int. Film Festival Ireland - Tipperary, 9/2011. Int. Film Festival England - Worcestershire, 9/2011. Int. Film Festival South-Africa - 11/2011. The film was selected to be screened in the festival that would take place in Barossa Valey, South Australia during October 26th-30th 2011. The film was screened in Zikhron Ya'akov, Israel in August 11th as part of the 'Screening The Spirit', a spiritual screening line in 'Cinema Peripheria'. The film was screened in Zikhron Ya'akov, Israel in June 30th as part of the 'Screening The Spirit', a spiritual screening line in 'Cinema Peripheria'. The film won the 2010 Award of Merit for 'Feature Documentary'. The Film was seleceted to be screened in the festival that would take place in Los Angeles later this month. A formal completion of a photography project that was held since 2008. 'Friction, Aim' project was developed in Berlin, Germany, as an on-going experimental visualizing process, trying to feature two life basic powers. In Haifa in February 16th. In Tel-Aviv in February 17th.. 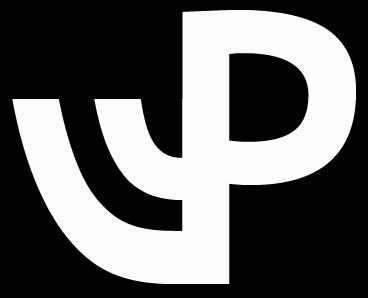 The film won 2009 Award of Merit for cinematography.